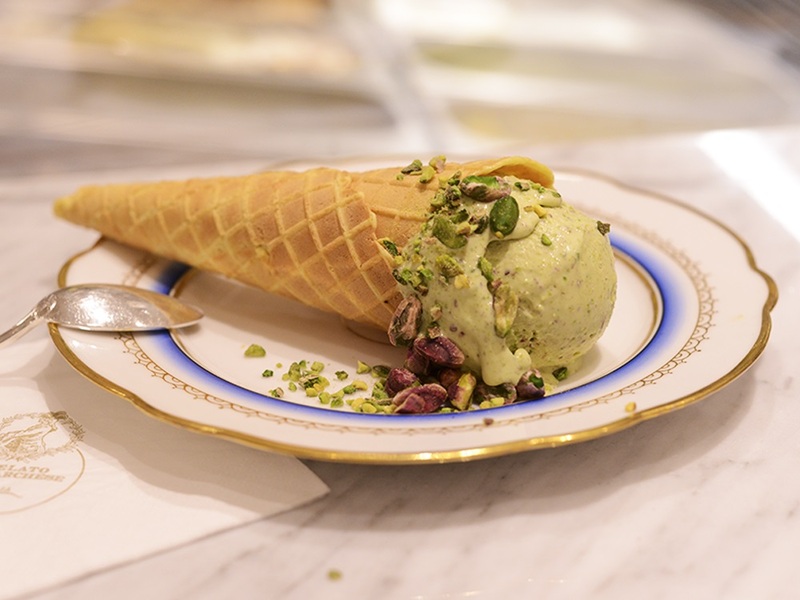 Craftsmanship and success are our watchwords at Il Gelato del Marchese. To meet these requirements, we surround ourselves with the best. Our master glaciers have their own family recipes. They choose and know the best ingredients, then we test, we cook, and we transform to the perfect balance of flavors. All products are ordered raw (pistachios, hazelnuts, …) then are roasted on site and integrated into the ice cream base. A long process is done to bring the textures and taste balances to perfection. Our ice creams are also very light in sugar to allow flavors to fully express themselves. 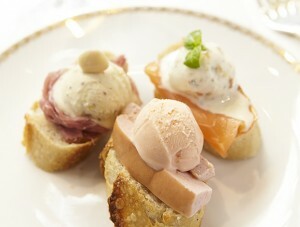 The ice creams are prepared daily in Paris, using fresh and seasonal products only. 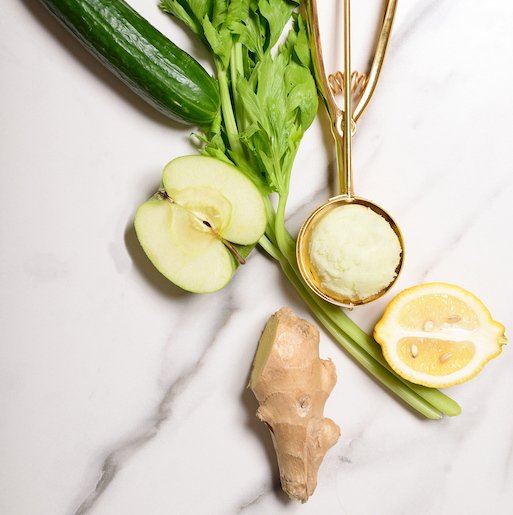 The right choice of the right ingredients is the key. The quality of the fruits, the origin of pistachios, the choice of milk, eggs … We have an extremely demanding quality criteria regarding to the selection of the ingredients. 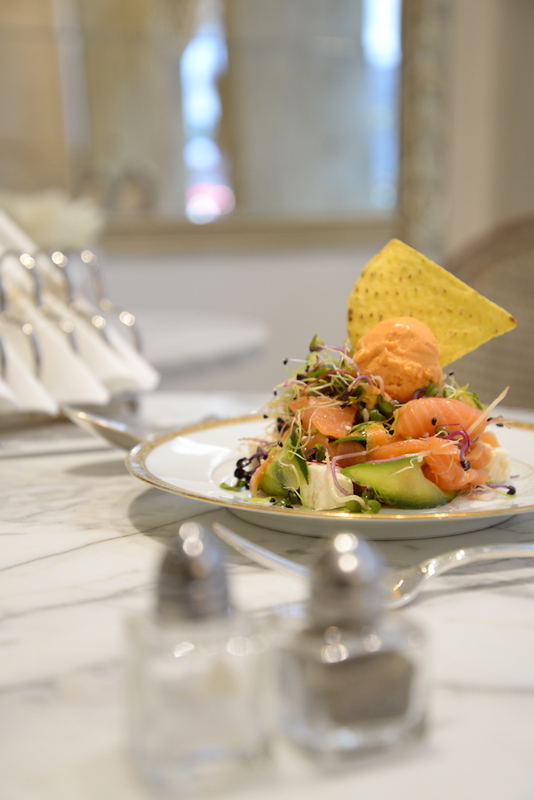 Our recipes are elaborated from a long and attentive research work. We only use the minimum necessary amount of sugar for our ice cream. Also sugar is obviously raw, and unrefined. We never artificially air expend our ice cream. They have the minimum requested amount of air to obtain a concentration of a maximum of aromas. 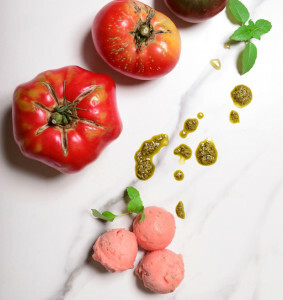 The preparation of ingredients is done on the site and follows a meticulous process : the fruits are hand-peeled, seeded and emptied before being processed. 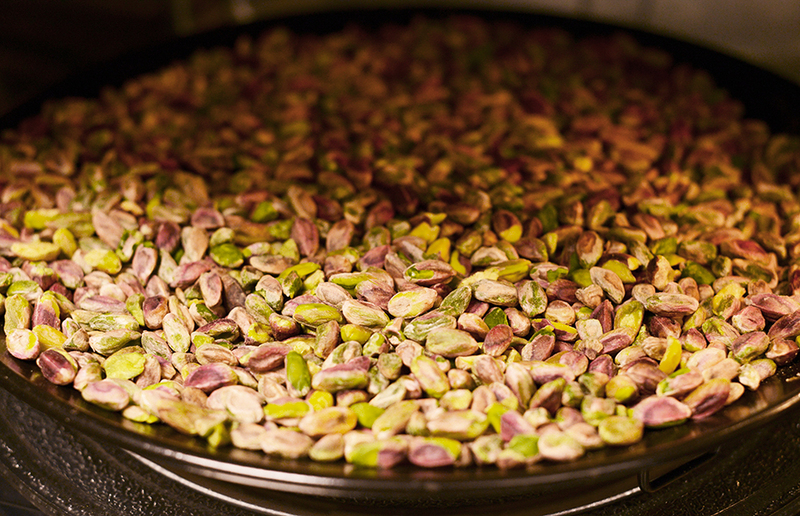 Pistachios, almonds, coffee beans… are roasted on site. 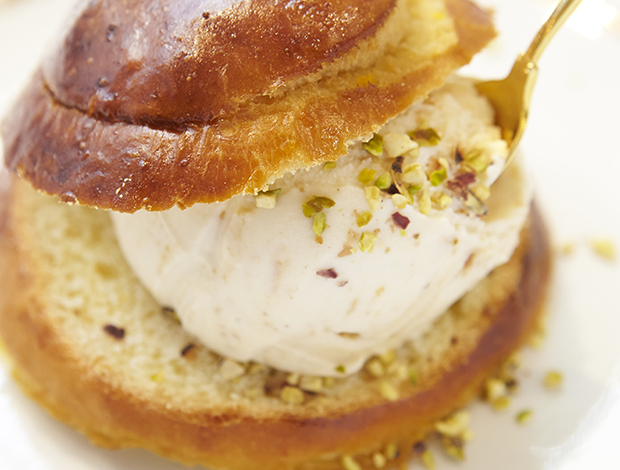 Special recipes like Tiramisu ice cream are made from an actual Tiramisu, prepared by our pastry chef, then turned into an ice cream. 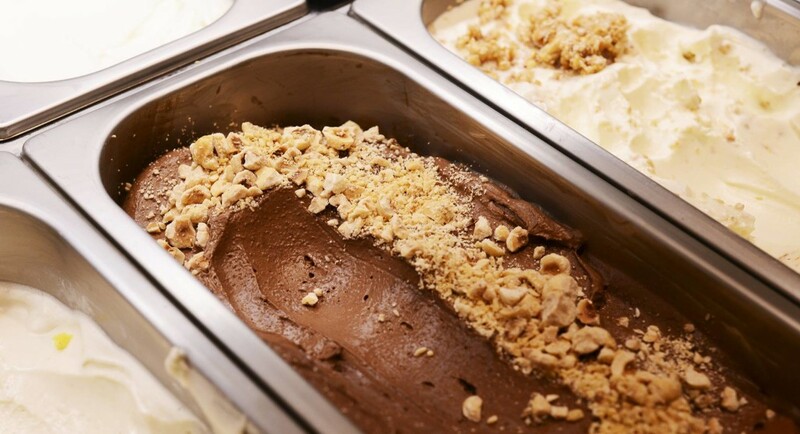 Our ice creams are 100% natural and 100% artisanal. They have no additives, no colorings or artificial flavors and no preservatives. 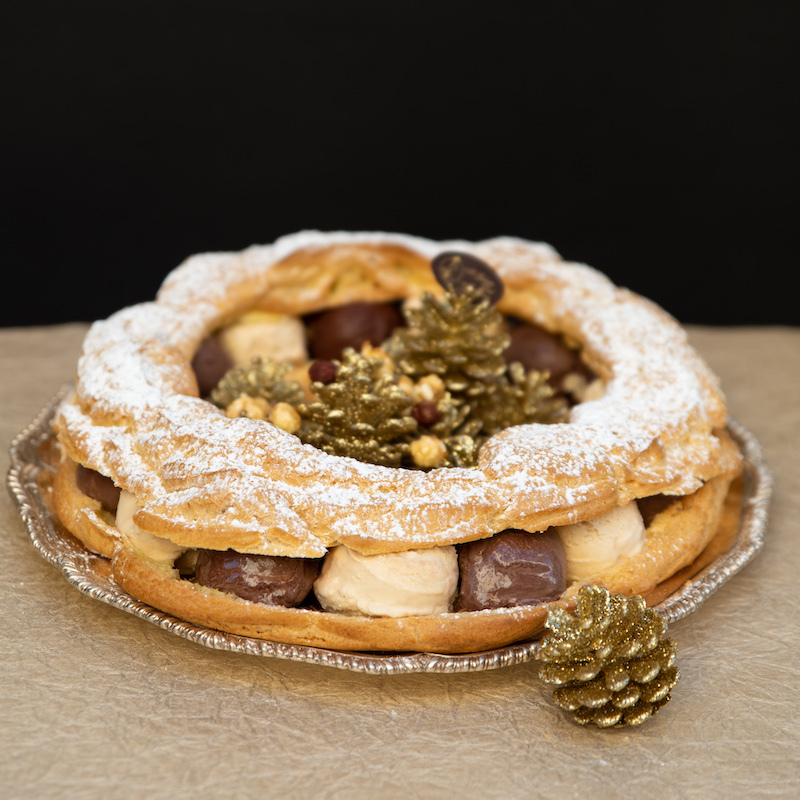 We also meet the gastronomic requirements of gluten and lactose intolerances. 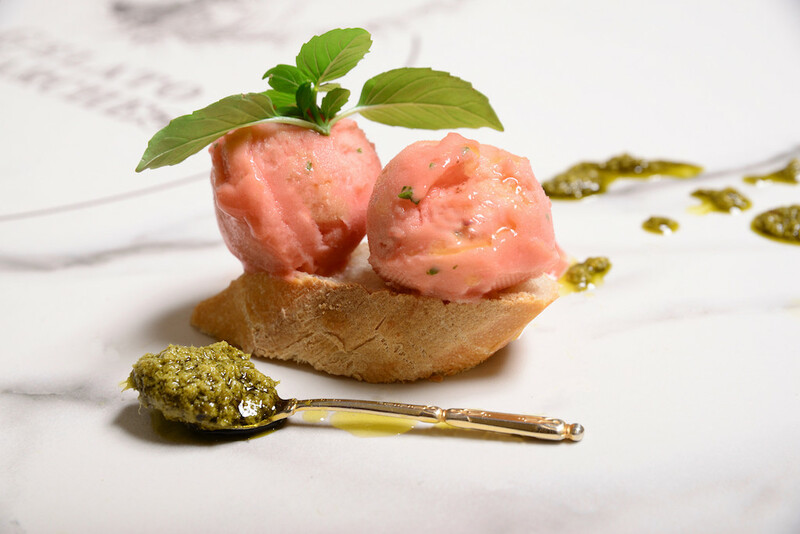 Our sorbets can be enjoyed also by the vegetarians. All our ice creams are all gluten free. NEW! SALTED DISHES ARE HERE! What distinguishes the prestige Ice Creams from others is the scarcity of raw materials used by a master glacier. Each flavor is unique in order to guarantee a very high quality of the product. Between spirit and chemistry, Il Gelato del Marchese is the perfect fusion of the emotions of childhood and the consciousness of adulthood. To make our sorbets, the method is to trace the process of production of raw materials, to get to the core of the curiosity of the product, the soil. A short list of ingredients (fruits, sugar and mineral water) makes sorbets preferred by vegans, gluten intolerants and dairy intolerants. 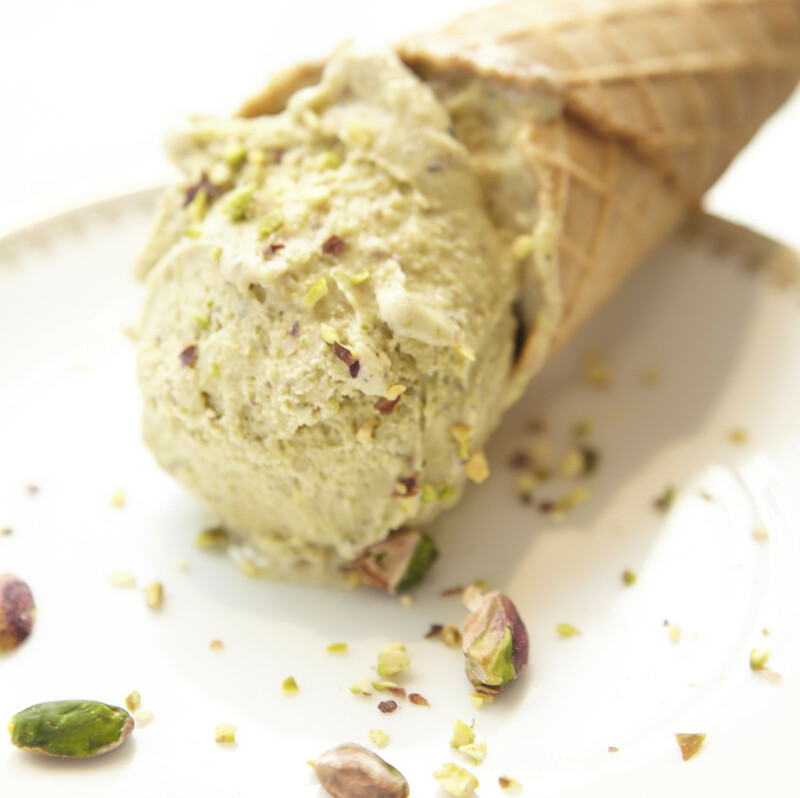 Our sorbets are also CERTIFIED VEGAN®, by The Vegan Society ™, under the certified member number : 023557. Classic flavors represent traditional Italian ice creams. The choice of raw materials used, skills and knowledge come together and form a perfect balance. 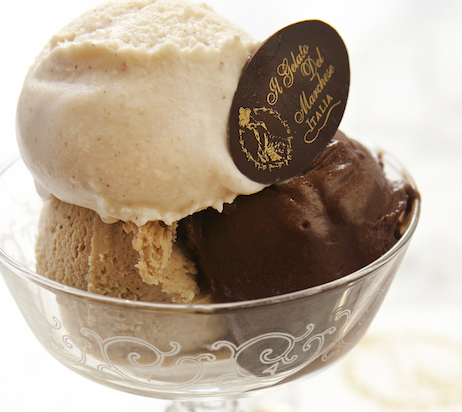 The raw material, whole milk and sugar are the only ingredients used to create a classic ice cream. No additives are used. Unique in their kind, they surprise by their taste and offer a new way to enjoy ice cream during the aperitif or cocktails. 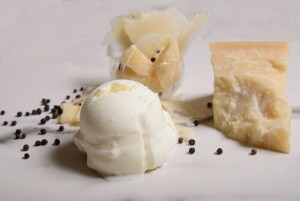 Created from seasonal products like Ricotta with white Alba truffles. 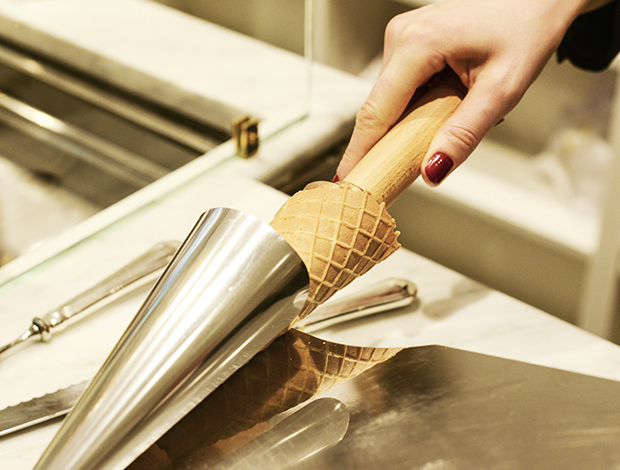 All our cones are handmade every morning. 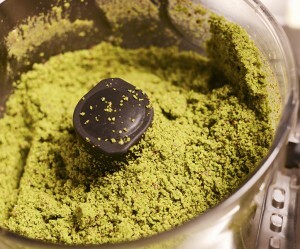 The dough is prepared with an ingredient that we keep secret, to give them this unique taste! 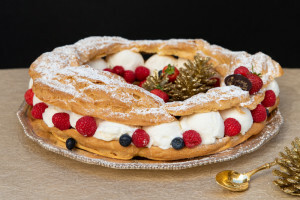 We also offer homemade customized desserts. Brioche Siciliana, cabbage and vacherin with the ice cream of your choice. 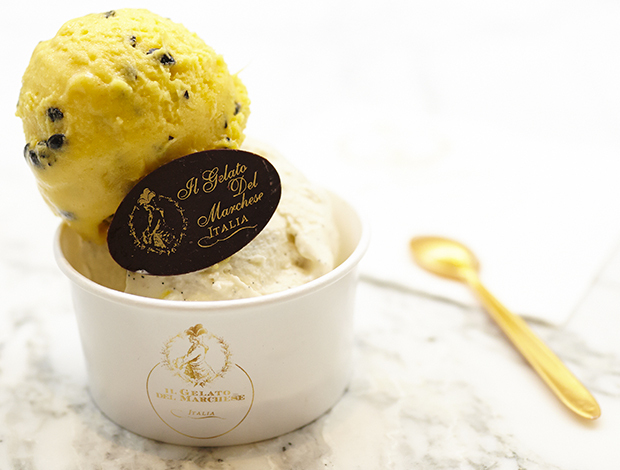 The Tea Specialist made two original flavors for IL GELATO DEL MARCHESE. 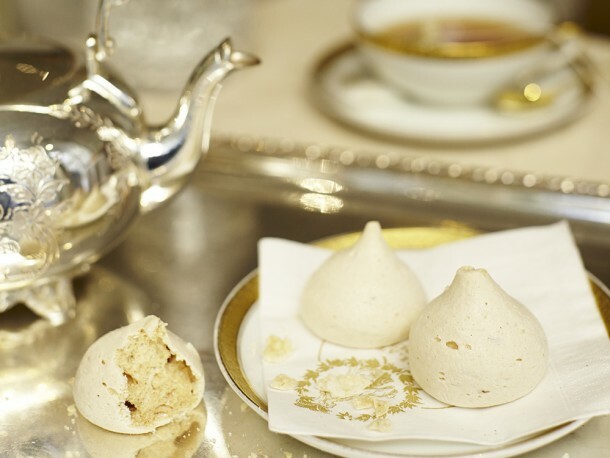 There are the “Gelateria Tea” and the “Tea del Marchese”, both available at the boutique.